They are a toxic force in the workplace undermining team morale and productivity, but how can we curtail the sniping of chronic complainers? It’s a fact of office life, there’s a chronic complainer lurking in almost every workplace. These are not the constructive ones, who use complaint to highlight error or bad practice with an aim to change things for the better, but the people who complain just for sake of complaining, without any positive aim whatsoever. They refuse to be content whatever the situation. Whether the boss is a fool, the weather too cool, the work a waste of effort, they endeavour to find the bad side of everything, and then make pains to make everyone else suffer with them. Constructive complaint can be a force for positive change in the office, but when it turns chronic it can have the opposite effect, pulling the team backwards by eating away at morale and hampering productivity. We’ve established that chronic complainers are blight on the working landscape but how can they be dealt with without turfing them out of the workplace altogether? Unlike most other irritants, constant complainers don’t lose interest if you keep ignoring them. 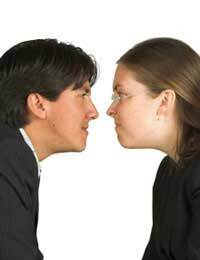 In face ignoring or avoiding them can often have the opposite effect and make them more determined to make people listen to their gripes and woes. Most of the typical responses have no discernable effect on the hardened complainant. Attempting to cheer them up by saying ‘it isn’t really that bad’ and suchlike, or offering some of your own quick fix solutions to their problems or just telling to just stop whining and pull themselves together – all are well practiced and all have a very limited success rate. Chronic complainers, it seems, are very difficult breed to tame. A much more effective way in handling them is in welcoming rather than shunning their gripes. Instead of ignoring, suppressing or avoiding their steady stream of complaints, why not just try giving them what they crave – open ears.The work environment should become a place where ALL complaints are given the same attention and deliberation. Staff members should be made to feel that if they have a problem then a person in a position of authority will listen and consider what they have to say. Much too often constant complainers moan because they known full well that no one in authority is taking any notice of them. They will happily air their grievances to fellow employees but often wouldn’t dare seriously take the issue up with their immediate superior. If a climate of open communication is cultivated, where all people with complaints feel that their voice is being heard then any unconstructive snipes and gripes will be exposed for what they are. Not expecting this, the chronic complainers will likely be thrown off guard and may even be left silent. Bosses and team leaders need to encourage their staff to air their complaints and as well as raising the subject in regular team meeting they should also promote an ‘open door’ policy. If an employee has a complaint then they should take the time to listen to the problem fully and then ask them what they want done about it, and how this would improve matters. As a member of authority, you should make it clear what can and can’t do in your position and then attempt to work towards a mutually agreeable solution. In order for the spirit of negative complaint to be exorcised from the work environment it is vital that fellow staff members know how to handle the more destructive elements of their team. Employees should, for example, know to resist the urge to participate in moaning sessions and know not to agree with the complainer’s subversive talk, even if they sympathise with some of the views. Negative forces like these only grow stronger and more damaging the more people are drawn in. Nevertheless, if you do disagree with them then it is inadvisable to rattle them by arguing the point. It’s important to listen to their point of view carefully and then, if appropriate, state where you stand on the issue without resorting to making rash judgements on what is right or wrong.